All pictures on this page and on Mandelbrot page are in jpeg format. If you want to see larger picture (800x600), just click picture or name below it. Screen depth should be at least 16 bits (65.536 colors). 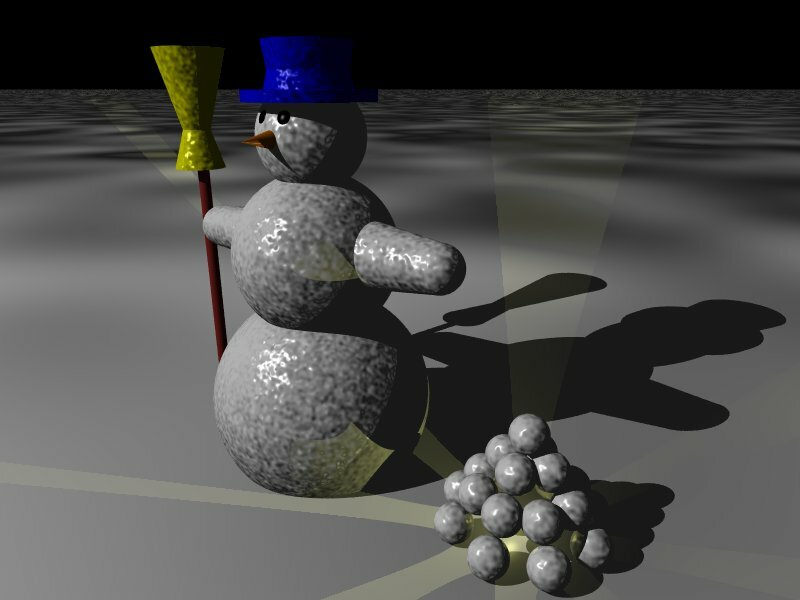 I'm really not any artist, but I have made some pictures by using Povray (in this case Dos version of it). 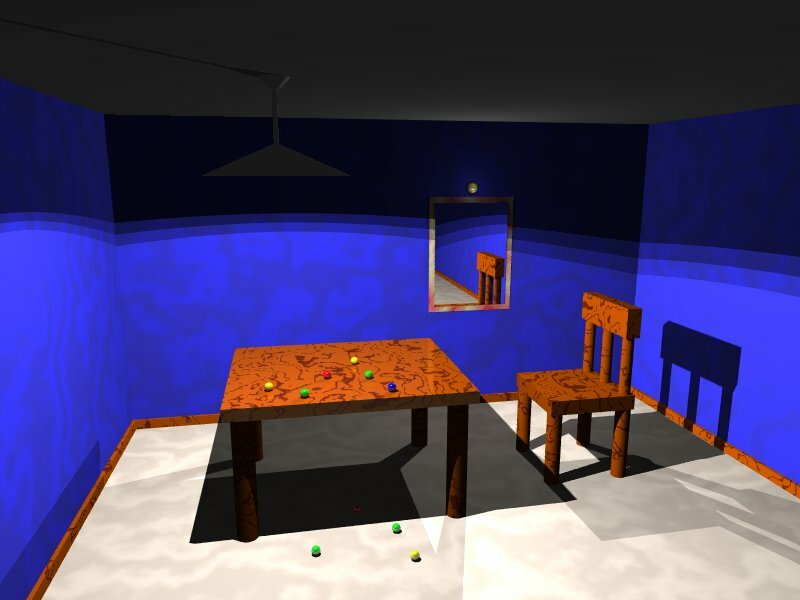 Nowadays making 3D-pictures is much more easier since computers are powerful enough to run graphical user interface where user can simply drag objects around and then render picture. In Povray (and especially in Dos version), you had to descripe picture to Povray program by writing it to text file. 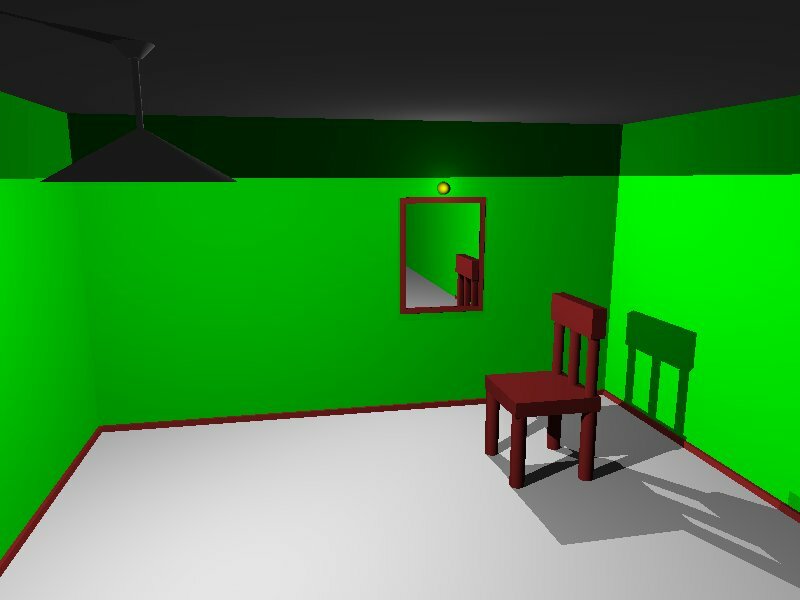 It looked somewhat like this (parts of room.pov -file, room picture below). 33 Mhz processor and 8 MB memory made things harder too, it took at least 5 minutes to render any kind of preview :-) Before that image was only in creators mind. But somehow, I liked making pictures this way (maybe because I'm a programmer :-) It's not so fascinating any more with 3D-editors. 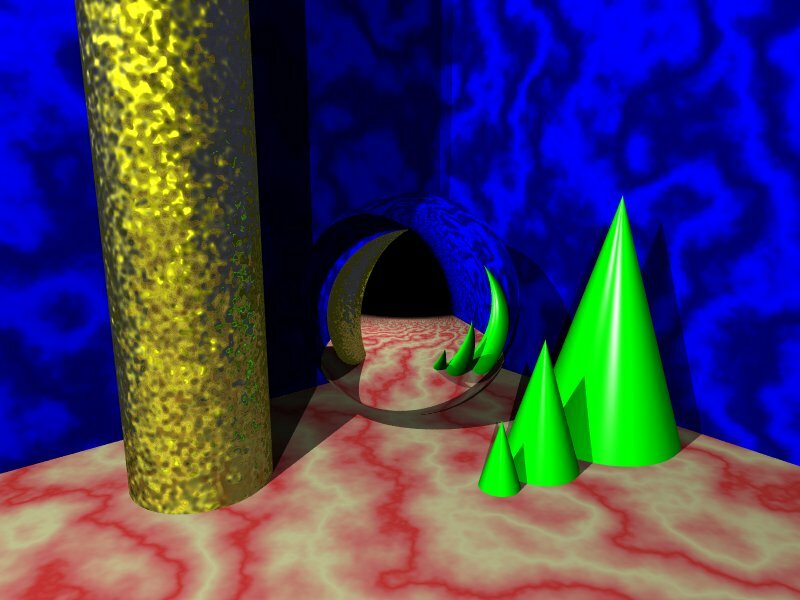 This is my "almost first" povray picture, made at 1995. Just training of different shapes and textures, but it looks pretty nice too. Picture of room. First (full size) rendered version on left, final version on right. This snowman was made about same time with my friend. Or actually my friend made it and I gave my comments. Light coming from snowlantern continues to infinity and it's look a bit dummy. But otherwise this is nice picture. Unfortunately I have lost final version of this picture, where those balls in snowlantern were arranged much more better than in this one. After those pictures I didn't do anything worth of showing. Until near Christmas 1997 I decide to try to make Java program, which would write povray source file and then Povray could render it to picture. With this method it was easy to create following picture where is balls on silver level. 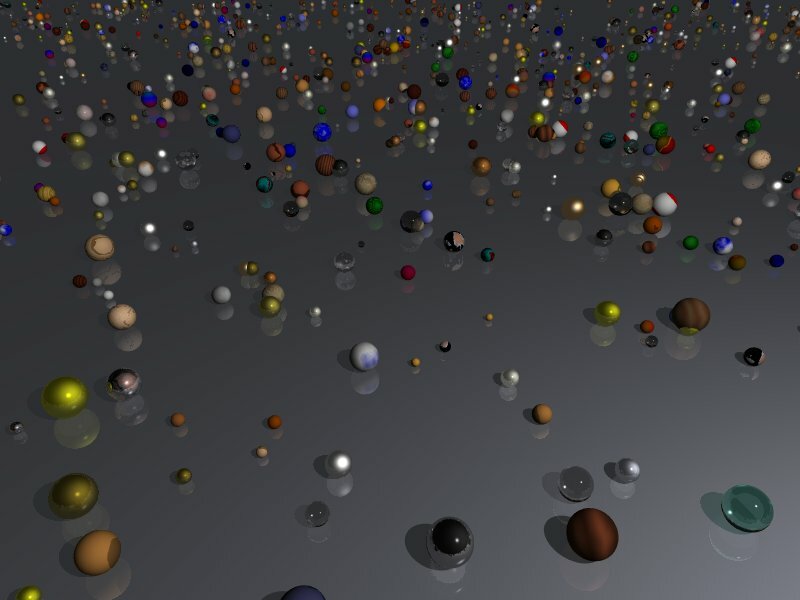 Java program randomly choose coordinates, radius and texture for 200 balls and wrote them to povray file. 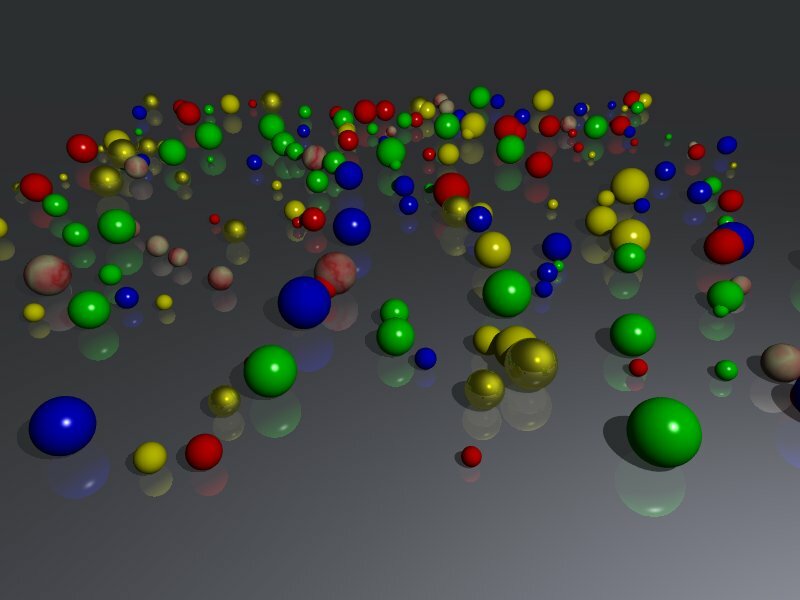 I became inspired about that and changed program to draw lots of lots balls using all available textures.